Out of Scale in Pioneer Square? A lot of drama has been brewing over the past few months in Pioneer Square. That’s because one developer has proposed a new 11-story building on the edge of the historic district. Wedged between the Alaskan Way Viaduct and S Jackson Street, the current structure falls within the boundary of the district that generally serves to preserve things in amber. That building, however, is a parking garage and, as such, has been deemed a “non-contributing structure.” Naturally, the old must go to make way for the new, and that has rustled old feathers. 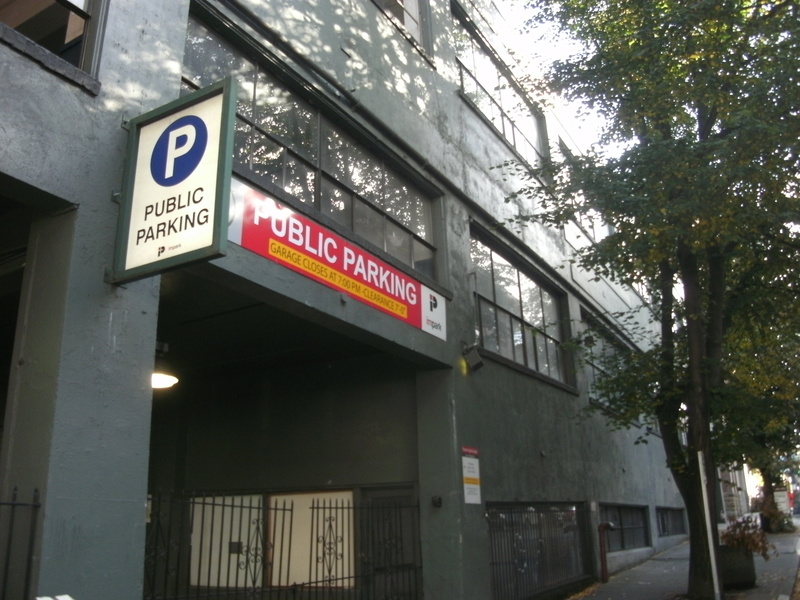 The Parking Garage in Question at 316 Alaskan Way S.
Days later, the Board’s recommendation not to approve the proposal was overturned by Kathy Nyland, Director of the Department of Neighborhoods, who argued that the preservation board did not have grounds to reject the proposal based on the criteria it cited. 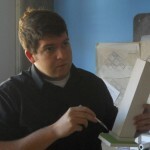 “The approval of buildings will go to what’s allowable under height limits. That’s the bottom line,” she said. 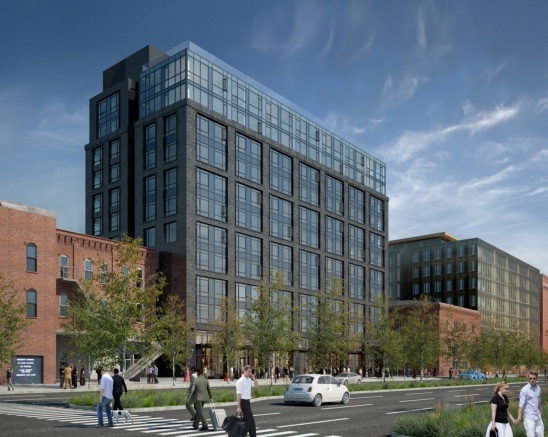 This new building was set to take full advantage of a 2011 zoning change that raised the allowable height on its block to 120 feet if certain criteria were met; previously the height limit was around 90 feet. 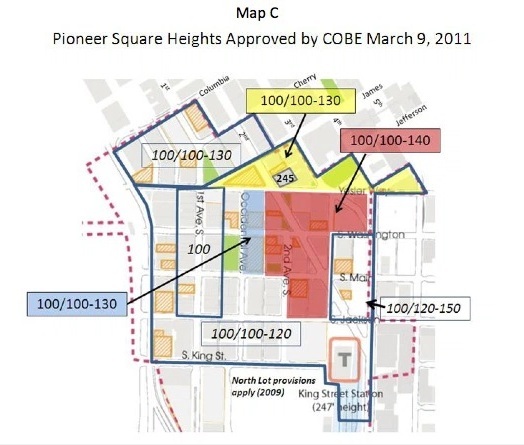 It was at this time that there was a robust debate at the City Council level on the best height limits to allow in zoning to “revitalize” Pioneer Square. At that time, the Council brokered a compromise between those who wanted height limits to dramatically increase — to 180 feet in places — and those who wanted them to remain the same. The most notable change that took place at that time, however, was a move away from variable zoning, which required that buildings be no higher than 15 feet above the neighboring buildings. In other words, four years ago there were similar arguments held at the Council level over buildings exactly like the one in question. The exact same people who are involved now were involved then, and succeeded in watering down an upzone proposal for new development in Pioneer Square. Height limits were agreed on and a compromise was reached. And then this year, the historic preservation board decided that the existing zoning, if fully utilized, would be out-of-scale with the neighborhood despite approval by a majority of the elected members of the City Council. This is clearly problematic. Was it the intention of the City, when creating the historic preservation districts, to allow them to have veto power over Council-approved zoning regulations? If this is the case, what other regulations might preservation boards have authority to overrule? In late September, a city hearing examiner put the project on hold due to the conflicting decisions regarding the project. The outcome of this episode could have repercussions across Pioneer Square, and in the other seven historic districts in Seattle, leading to a fundamental change in how those boards are overseen. That is the biggest problem. It just doesn’t seem to be anything like the other buildings. I know you don’t want to exactly copy the style (this isn’t Disneyland) but at least make a passing attempt to pay homage to it. To begin with, have red brick. Lots of red brick. Add a few more curves and flourishes. I could easily see how you can still have bigger windows and even blue glass with a little bit of effort. An example of this is the Physics/Astronomy building in the UW. It is obviously modern, but still has plenty of brick: https://goo.gl/maps/Lr2kiVxCvX52. A building like that would fit in well in Pioneer Square. Personally, I wouldn’t even try to make it that modern looking. Someone should be able to make a decent looking building in the style that fits in with the neighborhood. The big problem is not the size, nor the bulk, but the facade and structure. I’m sure the architect(s) don’t want to hear this. The building would be fine in a lot of places, but it just isn’t a good fit for that neighborhood. This really is an aesthetic question and one that people will differ on. But I would take a cue from Portland’s Pearl District where exactly this sort of building is compatible with red brick structures that are somewhat smaller in scale. Arguably, the variation in the height is an attractive feature and the difference in materials play off of each other, not against. The renderings suggest that the case here would be very similar. Yes, absolutely, it is an aesthetic question. But keep in mind, this district was created, with all its rules, to deal with the existing aesthetic. It is one of the few places in Seattle that “feels old”. That feels like a classic city. Plenty of people have remarked as such. This is because Seattle is a relatively new city, and much of it has been replaced once or twice. So I think it quite reasonable for the designers of the new building to respect that aesthetic. They might be able to get away with something that complemented the other buildings, but that would be tricky to do, especially given the relative height. For example, there are buildings in the UW campus in the brutalist style that complement the Gothic style quite well. But most of those are small, and out of they way. That being said, if the folks who owned this property put up something similar to the Suzzalo library, I doubt there would be many complaints (despite the fact that it would be dramatic contrast to the surroundings). I was thinking about this- you know what is of a different scale, time period, and material than the rest of Pioneer Square? The Smith Tower. Differences in materials do not diminish, they heighten the feel of a place. I can’t imagine what Pioneer Square would be like if all the new buildings tried to look like 1890 buildings. This building will fit in just fine next to Weyerhauser’s building, which no one has a problem with because it’s next to Occidental Park and not blocking anyone’s view of anything pretty. The author’s argument is non-sensical. The Board’s rejected the proposal based on the scale, not the height of the building. The scale is exactly what is in the Board’s purview. The director of the Department of Neighborhoods seems to think that scale and height are equivalent here. Care to explain exactly how the developer could utilize current zoning while reducing the “scale” of the building? Perhaps it’s because I don’t have all of the details, but could it be that the board is referring not to the height/bulk of the building but the scale of the windows? That’s what a “facade” refers to, the arrangement of elements on the exterior walls. And indeed the rendering appears to show much larger windows and glass curtain walls, and perhaps concrete on the exterior, which is quite different than the smaller windows necessitated by unreinforced brick construction.